Rosemary Verey's Barnsley House is now a luxury hotel. The house is beautiful, but the gardens are declining. I've read that they were in pristine condition when she was alive. The house is very beautiful. I had a nice cappuccino on the patio before I walked around the gardens. 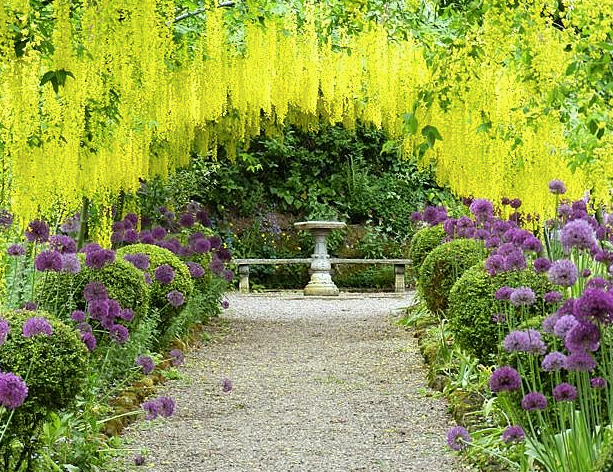 I'd love to go back in the spring and see the famous laburnum walk in full bloom. I cheated and copied the first photo from the internet.